Northeastern State University was founded in 1846 as a result of a treaty between the U.S. and the Cherokee Nation to provide higher education for the Cherokees. 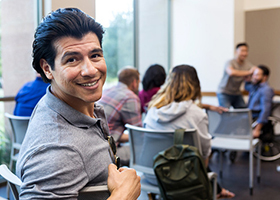 Programs are offered through the Colleges of Liberal Arts, Business and Technology, Education, Optometry, Science and Health Professions, and the Graduate College. Its campus is located in Tahlequah. 200-acre campus in Tahlequah (population: 16,741); branch campuses in Broken Arrow and Muskogee. Air serves Tulsa; bus serves Muskogee. 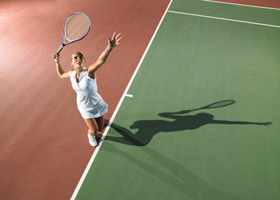 Colleges with Strength in Women's Tennis: Division II Haunted Colleges 4-Year Colleges with the Largest Enrollment of American Indian or Alaska Native Students Alma Maters of Musicians Colleges with the Highest Percentage of American Indian or Alaskan Native Students I Want to Be a Doctor... But Wait, I Forgot to Take Science!